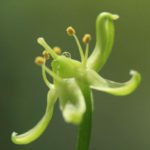 Bowiea volubilis Harv. ex Hook. 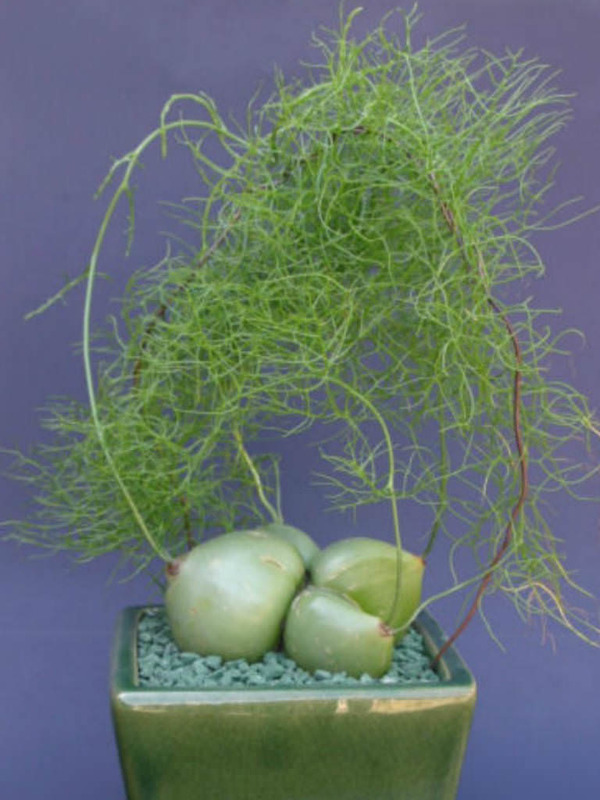 f.
Bowiea volubilis is an unusual, long living perennial succulent plant. 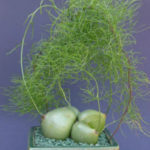 The pale green onion-like caudex is up to 10 inches (25 cm) in diameter and grows half buried in the soil. 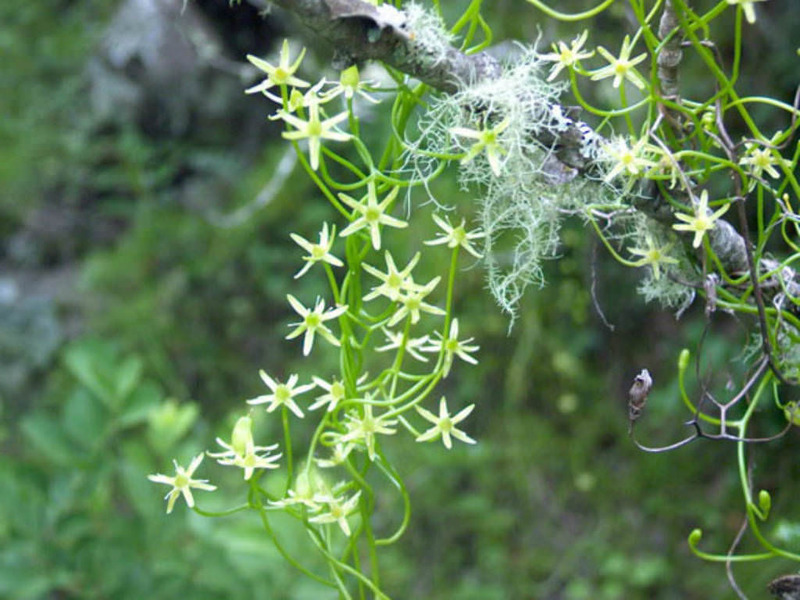 Each year in late winter, the bulb develops a new branched scrambling or twining, green flowering stem. 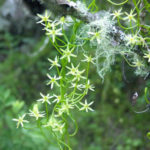 The stem is covered with many leafless side-branches that may fall off. 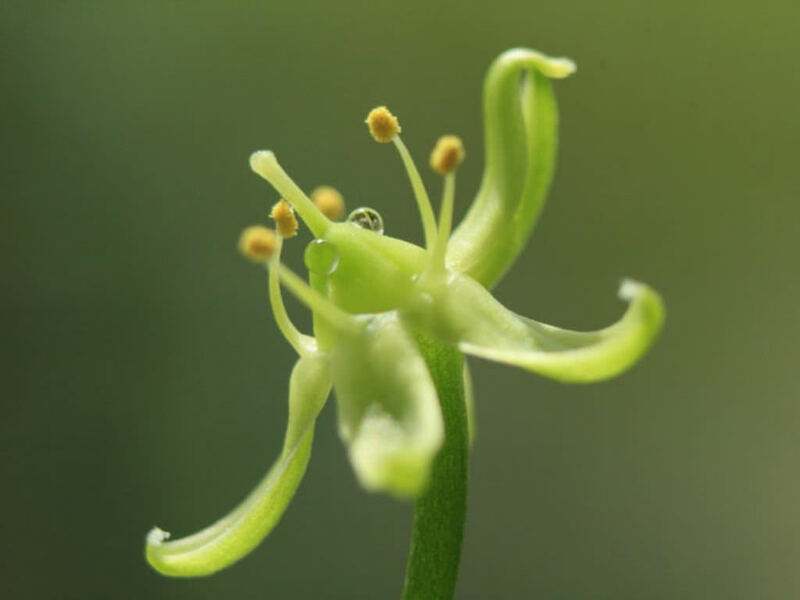 The small, starry, greenish or white up to 0.4 inch (1 cm) wide flowers appear in spring. Overwatering is a major concern with this plant. Best growth is achieved with moderate and consistent moisture, but never let the plant sit in water and allow the soil to dry out between watering. Stop watering completely when the stalks dry out after blooming in late summer. At this point, you can cut off the spent stems when they begin to dry out and brown. Resume watering when the bulb re-sprouts, generally in fall. You can move the plant to a sheltered area outside in summer as long as the plant is kept above 50° F (10° C). 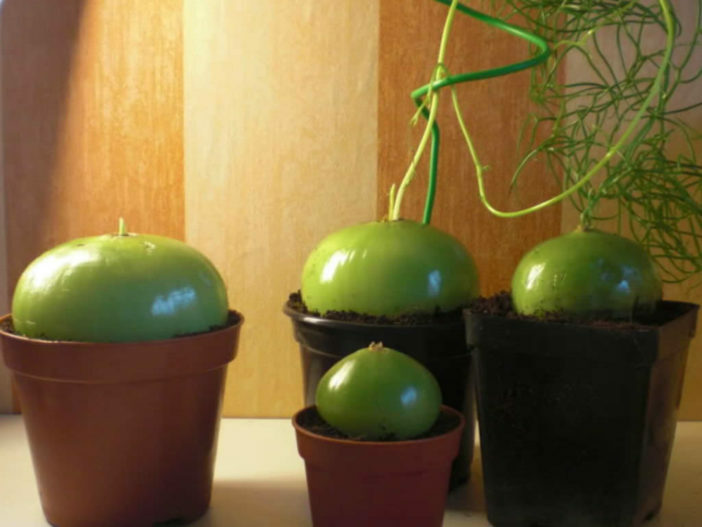 Supplemental feeding is not a necessary part of climbing onion care. Native to South Africa, Zimbabwe, Zambia, Malawi and Tanzania.